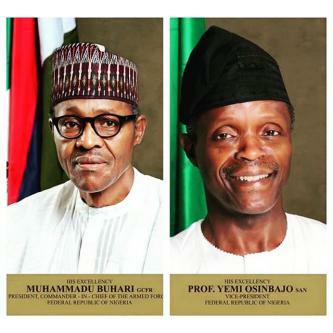 The Socio-Economic Rights and Accountability Project, SERAP, has urged President Muhammadu Buhari and Vice-President Yemi Osinbajo to promptly make public the details of their declared assets. The group made the request in a statement issued by its Executive Director, Adetokunbo Mumuni, on Sunday in Lagos. The rights advocacy group said the public declaration of their assets would be consistent with Buhari and Osinbajo’s anti-corruption credentials and their promises to the electorate. It said the request followed the declaration of assets last week by the president and his vice to the Code of Conduct Bureau as required by the Constitution. The group said: “we welcome the official declaration of assets by the president and the vice-president. This clearly complies with the requirements of the Nigerian Constitution as contained in Chapter 6 Section 140. “However, the declaration before the Code of Conduct alone falls far short of the commitment to publicly declare their assets. “SERAP recalls that the president said before the election that he would publicly declare his assets and liabilities, and encourage all his appointees to publicly declare their assets and liabilities as a pre-condition for appointment. “We now expect the president to fulfil this promise to the Nigerian people. According to SERAP, public disclosure of assets will give the general public a true picture of Buhari and Osinbajo’s assets and will send a powerful message that it is not going to be business as usual with this government. It said the move would follow the best practices as laid down by late President Umaru Yar’Adua and boost government’s fight against corruption and impunity of the perpetrators. “We believe that public disclosure of assets is crucial in ensuring that public officials’ personal interests including those of the president and vice-president, as the leaders of the nation, do not conflict with their duties and responsibilities. “Public disclosure also helps to provide a baseline and means for comparison to identify assets that may have been corruptly acquired, so that a public official may legitimately be asked to account for,” SERAP added. The group then called for amendments in the laws relating to declaration of asset to include the requirement of public disclosure to ensure it was in line with international standards such as the UN Convention against Corruption.